The Mayo Clinic shared that people who aren't getting adequate rest can have compromised immune systems. That means getting your required hours of sleep at night isn't just a way to keep you happy – your Z's can improve your health and prevent you from catching the cold that's going around. As simple as it seems, hand washing really is a crucial way to avoid getting and spreading communicable diseases. Public places that are frequently touched such as door handles and railings can harbor germs for hours, so make sure you always wash your hands when you enter your home and before you eat. Try to keep your fingers and hands away from your face when you're outside of your home as well as these body parts are often the places that transfer cold-causing germs to your system. When you have a cold, try to wash your hands often in hot water with soap to prevent the germs that can spread when you blow your nose or cough. Ask your doctor if you should get an annual flu shot. Just about every pharmacy offers flu shots on-site these days, and some senior living communities have in-house medical staff that can provide immunizations as necessary. 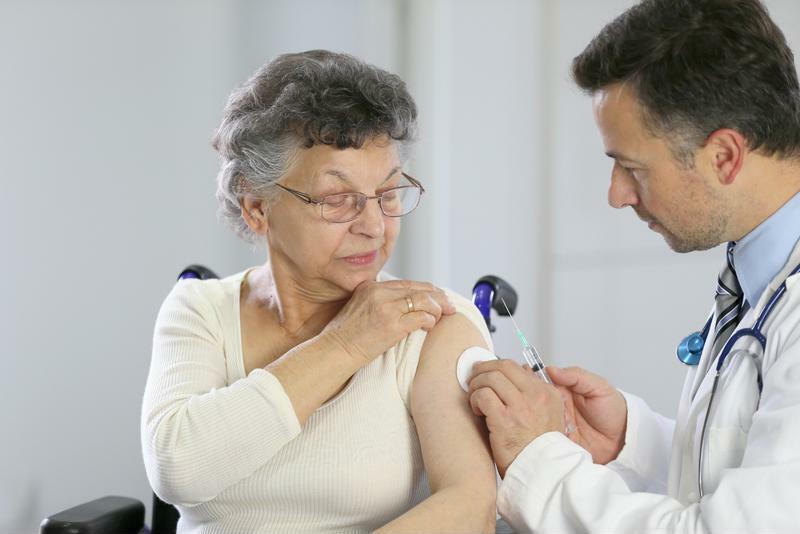 The Centers for Disease Control and Prevention recommend that seniors and babies get the flu shot as these two populations are most susceptible to the sickness. The organization noted that between 54 and 70 percent of seasonal flu-related hospitalizations occur among individuals who are 65-years-old and up. As the seasons change, flu viruses are updated in order to better fight the particular strain of the illness that is popular at the moment, so talk with your doctor to learn if you should get a yearly flu vaccination. Let's say your daughter wants to bring her family to visit. On a typical day this would be a welcome event! However, if your grandson has a bad cold, try to reschedule your hangout for when he's feeling better. This way you are avoiding exposing yourself to the germs of whatever illness your grandson is currently fighting. It's not necessary to become a germaphobe and stay home all winter – plus that sounds awfully boring – but when you can take steps to mitigate your risk, it's a good idea to do so. You could even video conference with your family instead of having them over. That way you can still chat about the upcoming school formal and how your grandkids are doing in their classes.